With the range of air conditioners available in the country, buying air conditioners in Singapore is still no easy feat. Merely choosing an air conditioner with the “best” features will not do it. You also need to consider several factors and understand certain terms. Let us guide you through the essential things you need to know before delving into buying an aircon. Confused about certain aircon jargon? We’re here to help! 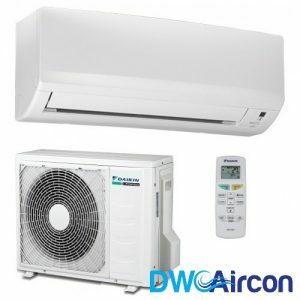 Before taking on the task of buying a new aircon in Singapore, it is important to first understand some of the basic concepts being used. Not only will this aid you in your task, but it will also help you choose the perfect air conditioner that best suits your needs. BTUs are used to measure an air conditioner’s cooling capacity. It is the amount of heat your aircon can remove from a certain room per hour. The higher the BTU, the more powerful the cooling capacity will be. As such, bigger rooms usually require air conditioners with large BTU. EER measures the amount of BTU produced by the aircon with 1 watt of energy per hour. In Singapore, the legal minimum is 10. A higher EER denotes more savings in the long run, but a higher initial cost. You would benefit more from a higher EER if you use your aircon every night compared to someone who only uses it 2 to 3 times a week. The working fluid for the aircon is called the refrigerant. It is essential in the heat removal process of the cooling mechanism as it changes from gas to liquid and back to gas. 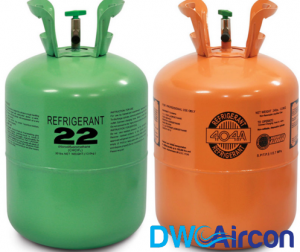 There are two types of refrigerants mostly used in Singapore – R22 and R410A. However, R410A is more commonly being used nowadays as it is more efficient and environmentally friendly. Deemed as the more preferable type of air conditioner in Singapore, an inverter aircon has a speed compressor. This means that the running speed of the aircon is reduced once the desired temperature is achieved. With inverter air conditioners, you’ll be able to get at least 30-50% of energy savings compared to non-inverter air conditioners. The FCU unit is the aircon unit inside your home. The main component of the air conditioner found inside the outdoor unit. A single split or a system 1 air conditioner has 1 indoor unit to 1 outdoor unit. Multi-split air conditioner systems come with 1 outdoor unit to a specified number of indoor units. For instance, a System 3 aircon will have 1 outdoor unit to 2 indoor units. 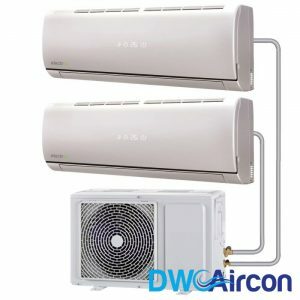 While multi-splits are more commonly seen in Singapore households, there are also other types of air conditioners being used in some areas. As the cheapest option, room air conditioners usually only have a lifespan of 10-15 years. However, it is also considered the most popular cooling system being the most affordable choice as there is no further piping required during installation. 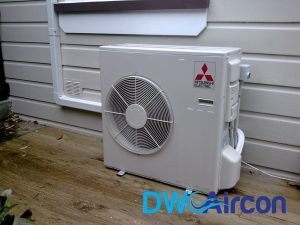 A portable aircon remain a suitable option for people on a budget or living in a rental property. Not only is it easy to set-up, but it is also be used and transferred to different rooms. The only downside is that it may not have the same cooling capacity as other types of air conditioners and it also takes up floor space. 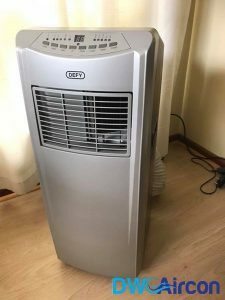 Also known as the single split or system 1, this type of air conditioner has the option not to be installed near a window (unlike the casement aircon). It requires professional installation as it involves both the outdoor and indoor unit. As the most cost-efficient type of air condition, the multi-split has 1 outdoor unit that can connect up to 4 indoor units at the same time. They range from system 2, 3, 4 and even 5. Professional installation and usage might cost more, but it incurs more savings in the long run. 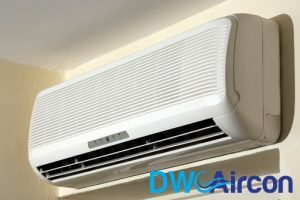 Now that you know more about the basic concepts and different types of air conditioners in Singapore, it’s now time to go through important factors to consider when choosing an air conditioner. Single room: If you’re only planning to cool one room, a casement or portable air conditioner would be best for you. Multiple rooms: An inverter multi-split system would be more preferable to cool two or more rooms. As mentioned earlier, an aircon’s cooling capacity is determined by its BTU rating. The number of BTUs needed for a certain room is calculated by multiplying the square foot of the room by 35. 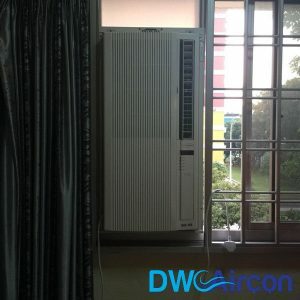 As such, a typical HDB flat bedroom usually needs about 9,000 BTU worth of cooling capacity. 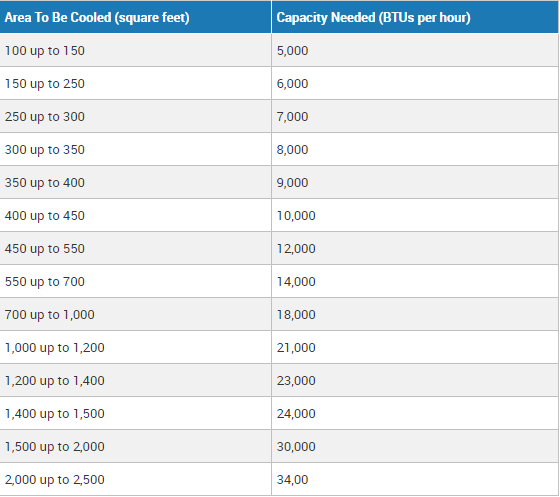 To calculate the BTU required for your room size, you can refer to the chart below. While it is important to consider the area that you want to cool, it is also essential to take note of whether you have the space for the air conditioning unit. As such, inverter air conditioners are more preferable when you have limited space compared to casement air conditioner. If you’re mostly planning to use your air conditioner in the evening, opt for an inverter aircon. Inverter air conditioner models operate on 19dB, which is quieter than a sound studio! 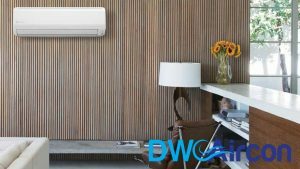 With a wider range of aircon brands and models available nowadays, it is possible to choose additional air conditioner features to better suit your needs. While you’re at it, you can also browse through the top 3 best-selling aircon brands in Singapore. A programme timer on your remote control enables you to turn on the aircon half an hour before you get home and switch it off when you’re asleep. Most remote controls with programme timers also have sleep/energy saver settings. Having a slide-out filter would mean easier maintenance as it would be less of a hassle to clean. Getting an air conditioner with a dirty filter indicator will alert you when the filters need to be cleaned. Some aircon models also have an air purifying function that can reduce microscopic contaminants and dust being released from the air conditioning unit. Want cleaner air for your room? Check out Mitsubishi’s Starmex Series. Newer aircon models already have motion-detector sensors that adjust power consumption according to the amount of movement in the room. If you’re looking for this specific feature, look no further as Panasonic’s INVERTER XS series use ECONAVI technology with intelligent eco sensors. Ever forgotten to turn off your aircon before leaving the house? With wifi-enabled air conditioners, you can control your aircon from outdoors with just a click on your smartphones. You can enjoy this feature with Daikin’s Smiles Series such as model CTKS25QVM. Have a better understanding of air conditioning units? It’s now time to start planning on getting the work done. Read our comprehensive aircon installation guide! Ready to buy an aircon in Singapore? Browse through our wide range of aircon brands and models here*! *Prices include premium installation with upgradable materials. To speak to our friendly customer support staff, please Call or Whatsapp +65 6653 2988 now!